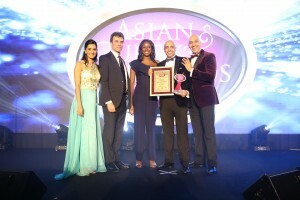 Restaurateur Ajmal Mushtaq, who runs the eponymous Mushtaq’s Restaurant in Hamilton in Scotland – officially the largest takeaway operation in Britain – when featured on BBC2’s Best of British Takeaways programme – has praised his staff, for retaining the prestigious Just Eat Best Takeaway In Britain accolade for the second year in succession at the Asian Curry Awards this week. Last year Ajmal was named Scotland’s Chef of the Year at the Food Awards Scotland in August, beating off competition from the best fine dining and Michelin trained chefs in the country. Register to our newsletter to receive all the latest news.